Introduction: Eating habits begin in childhood, remain during adulthood and undergo changes as young adults enter university. Objectives: This study aimed to evaluate the food knowledge in a sample of university students in Portugal, as well as to identify in what way some sociodemographic factors influence that knowledge. Methods: This cross-sectional study was undertaken by means of a questionnaire on a non-probabilistic sample of 376 university students in Viseu. Results: In general, students revealed to have a high degree of knowledge about some aspects of a healthy eating and the majority of them identified the current food wheel. It was also observed that it is through family and Internet that most of the students get the information about healthy eating. The mean scores were higher for men, students who were aged 22 years or over, as well as for those who practiced high competition sport, who were connected to food areas and also for the students’ who had already attended a class performed by a nutritionist. Furthermore, in general, students had notion of which food they should eat in bigger and smaller quantities, not knowing, however, which are the recommended daily portions. Conclusions: This study highlighted the need to deepen the debate on this topic in order to improve students’ knowledge about healthy eating. Gregório, M., Tavares, C., Cruz, D., & Graça, P. (2017). Programa de distribuição de alimentos: considerações para a adequação nutricional da oferta alimentar. Lisboa: Direção-Geral de Saúde. Montero, A. B., Ubeda, N. M., & García, A. G. (2006). [Evaluation of dietary habits of a population of university students in relation with their nutritional knowledge]. Nutricion hospitalaria, 21(4), 466–473. Rennis, L., McNamara, G., Seidel, E., & Shneyderman, Y. (2015). Google It! 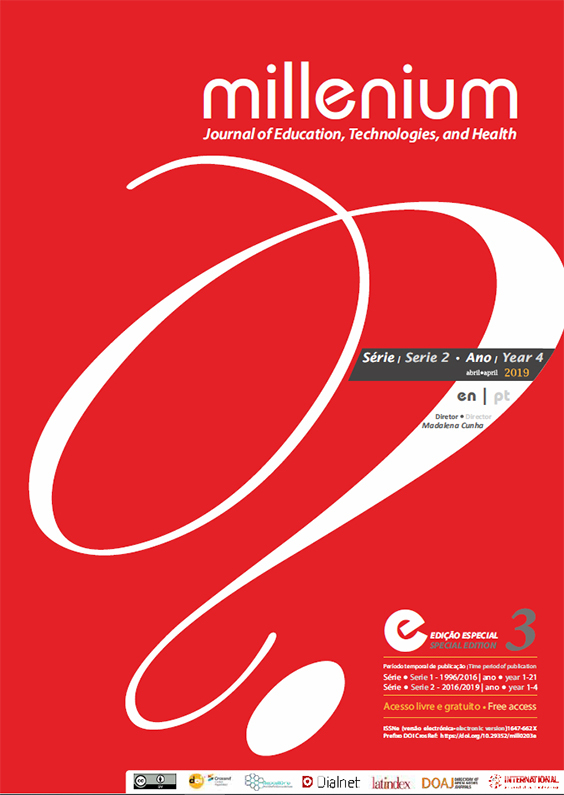 : Urban Community College Students’ Use of the Internet to Obtain Self-care and Personal Health Information. College Student Journal, 49(3), 414–426.